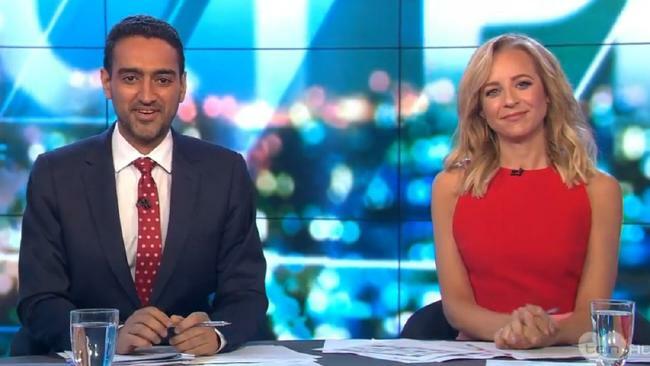 WALEED Aly has weighed in on the scandal surrounding the Stefanovic brothers' alleged controversial phone conversation reportedly overheard by an Uber driver who then sold the details to New Idea magazine. The Project co-host tonight told viewers that "nobody came out looking great" after it was reported Nine's golden boy Karl Stefanovic and his TV reporter brother Peter had launched an extraordinary 45-minute attack on colleagues including entertainment reporter Richard Wilkins, new Today co-host Georgie Gardner, veteran reporter Mark Burrows and Nine bosses. The conversation allegedly took place while Peter and his wife, Today newsreader Sylvia Jeffreys, were in the back of an Uber car late at night, speaking to his brother and fellow Nine Network celebrity Karl on speakerphone. "We do all talk about work colleagues and it's a privacy issue," Aly said. "I mean there is nothing wrong with these two guys talking about someone they work with. "The criminal here or the person who is at fault is someone who has intruded on that conversation. That's the problem." According to the Uber driver, Karl - who reportedly earns $2 million a year - accused his new co-host, Gardner, of "sitting on the fence" and not having enough opinions. The driver claimed Karl became angry and declared that she needed to "step up" if she "wanted to stay on the show". It was initially widely reported that the driver was touting an audiotape he'd secretly recorded of the brothers' frank chat. 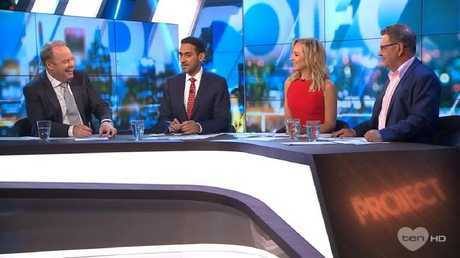 The Project panel discussed Karl and Peter Stefanovic’s leaked Uber conversation, on March 19, 2018. It is illegal in the state of NSW to "secretly record a private conversation to which you are a party". The driver was reportedly paid $50,000 for the story. The Australianreported that the driver is understood to have signed a statutory declaration saying he did not tape the conversation. Aly said society was "building a really sick culture of surveillance". 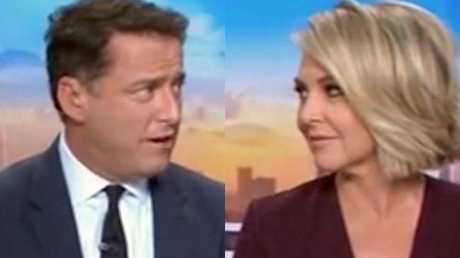 New Today co-host Georgie Gardner allegedly copped a spray from Karl during what was supposed to be a private phone conversation. Picture: Today / Channel 9. "In the end when all this was supposedly revealed, and we have no idea if it is even accurate, right?" he said. "But when all that's revealed, it wasn't even that big a deal." 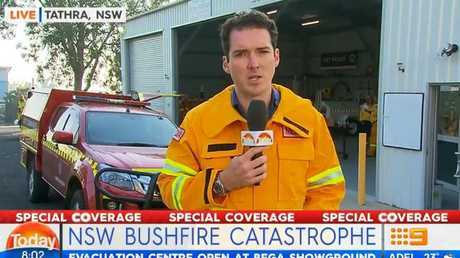 Peter Stefanovic reporting on NSW bushfires on Monday 19 March 2018. 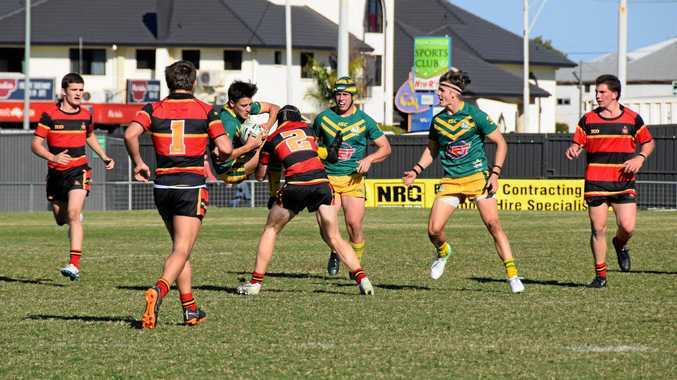 Picture: Channel 9. The Project panellist and radio jock Steve Price agreed with Aly's sentiments and expressed his disappointment that "these days you really cannot say anything". "You have to stop yourself whenever you're referring to another individual and really think twice about it," Price said. "In the old days you could spray people all you liked, nothing ever happened and no one dragged you off ... and you could bag people and swear about them."